Collaboration by local organizations help girls learn leadership skills! 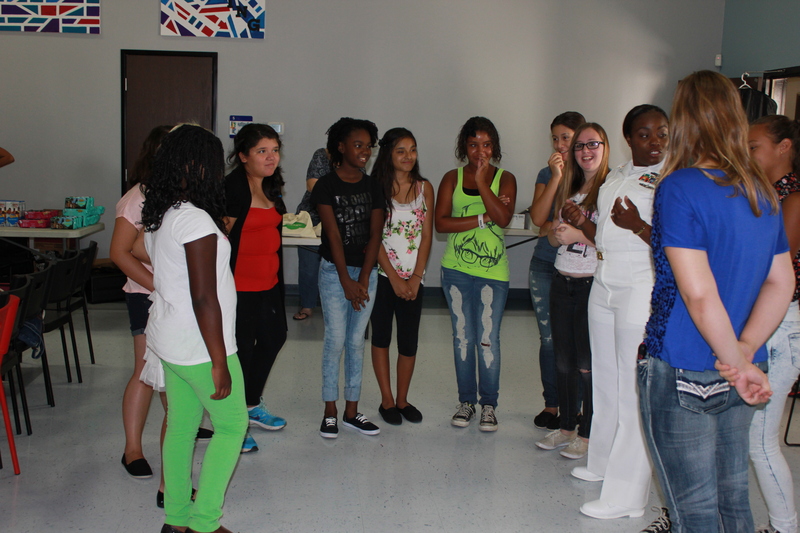 The girls participate in interactive activities at a Ban Bossy Event in Fontana. 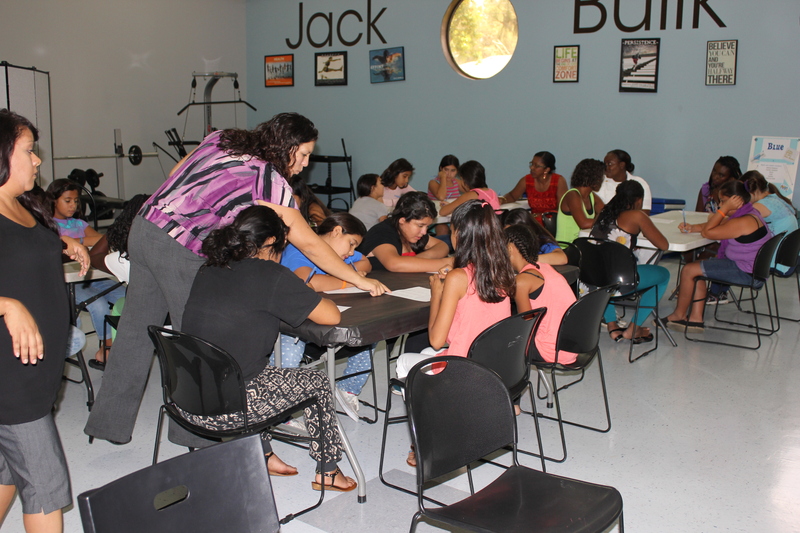 Women in leadership taught teenage girls the difference between being a good leader and being bossy during the Ban Bossy Girls in Leadership event at the Jack Bulik Teen Center in Fontana. The inaugural event focused on empowering at-risk young girls by strengthening their self esteem. Many foster and probation youth girls participated in interactive activities and watched video clips that provided discussion opportunities on how women are viewed by society and what shapes these ideas. Volunteers from the United States Navy, San Bernardino County Fire, and San Bernardino County CASA were among those who spoke to and mentored the girls. Presenters for the day’s events included Celina Hernandez a Career Guidance Specialist from Colton Redlands Yucaipa Regional Occupational Program and Trinity Wallace-Ellis, an Independent Trainer. Volunteers from the United States Navy were among those who spoke to and mentored the girls. “The focus of Ban Bossy Girls in Leadership was to teach girls good leadership skills,” said Brandy L. Nelson, Children’s Networks Mentor Resource Coordinator. The collaborative event was hosted by Children’s Network, County of San Bernardino Children Family Services, County of San Bernardino Department of Behavioral Health, Girl Scouts San Gorgonio Council, San Bernardino County Superintendent of Schools and Court Appointed Special Advocates (CASA) for Children. 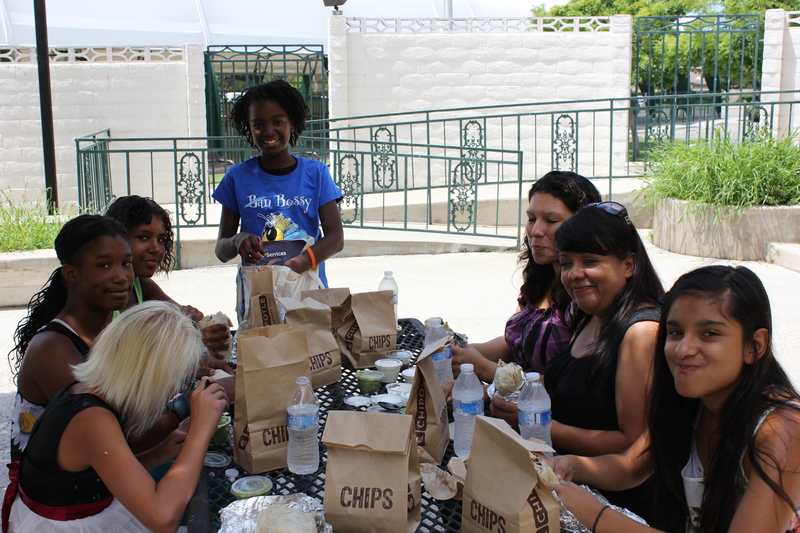 A delicious lunch for every girl was generously provided by Chipotle .